Bridget Sloan featured in the New York Times in our Right Move Scallop Top and Tassel Necklace. The Rio 2016 Olympics have been in full swing since August 5th and we couldn’t be more excited! Watching the world’s top athletes compete for gold inspires determination and a sense of pride in all of us! If you’ve been keeping up over the past few days, you’ve been just as awestruck as we have by the gymnastics events! We can’t seem to turn away from the TV as these athletes display incredible focus and unbelievable strength! I can hardly keep my own balance when I’m standing straight up, yet here these men and women are doing flips and jumps and twists without losing an ounce of composure! Just last night our own Simone Biles (USA) received the gold medal for all-around! Defying gravity in the most graceful way possible, we’re proud to have such incredible individuals representing our country! Bridget Sloan, 2008 Beijing Olympics. 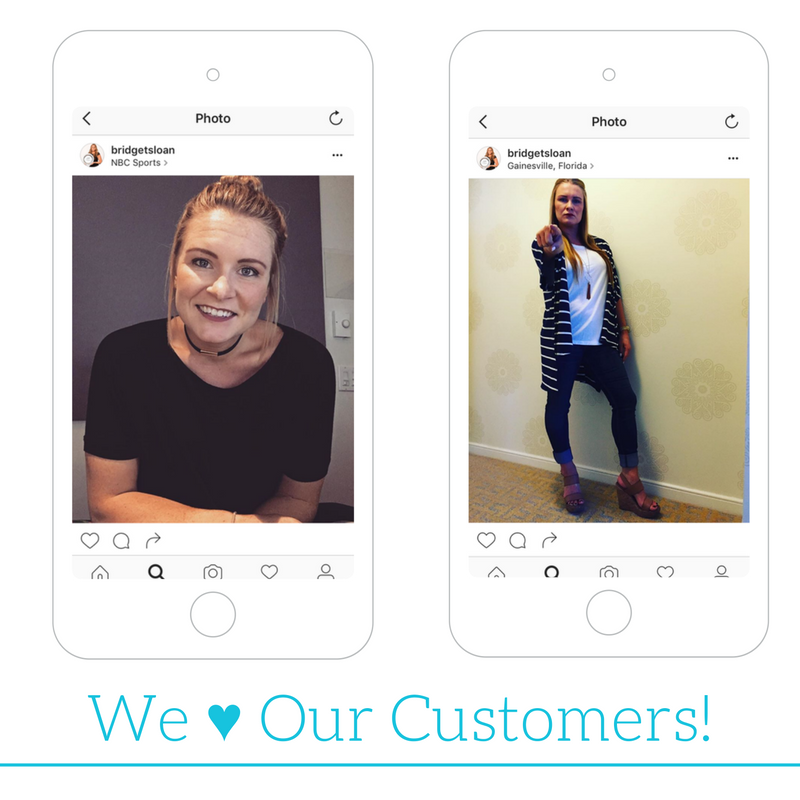 On the topic of gymnastics super stars, we were all admittedly a little giddy when we found out that Bridget Sloan was one of our customers. Bridget took home a silver medal in the 2008 Beijing Olympics, was All Around World Champion in 2009, and continued to excel for UF Gymnastics as an NCAA Champion in 2013, 2014, and 2015 and as SEC Female Athlete of the Year in 2016! 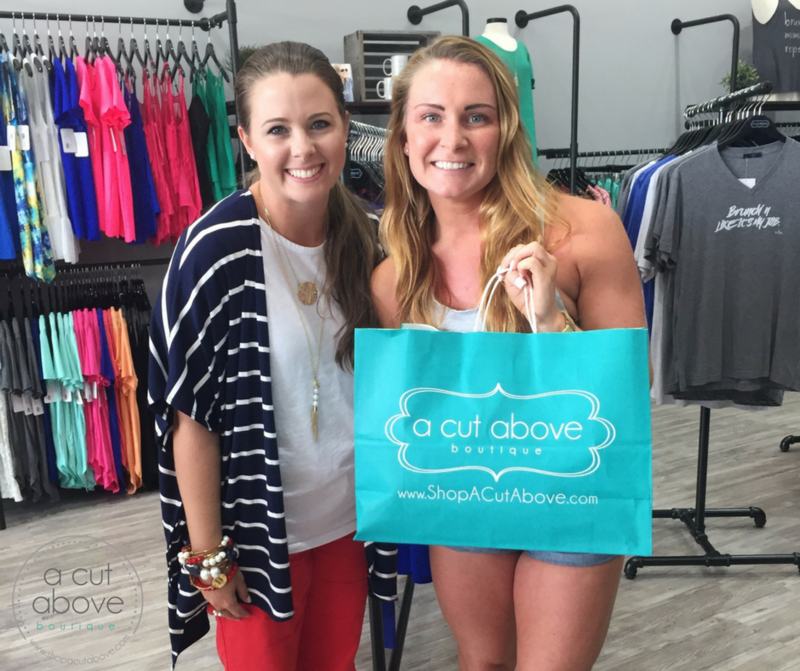 Bridget Sloan with our owner, Brittney Denman. Our owner recently had the opportunity to assist her in our Gainesville location and couldn’t say enough good things about her. Not only is Bridget an incredible athlete, she is the one of the most humble and kind people you’ll ever come across and we are honored to call her a customer. Bridget in our Short Sleeve PIKO Top (Black) and in our Next Mistake Stripe Kimono. 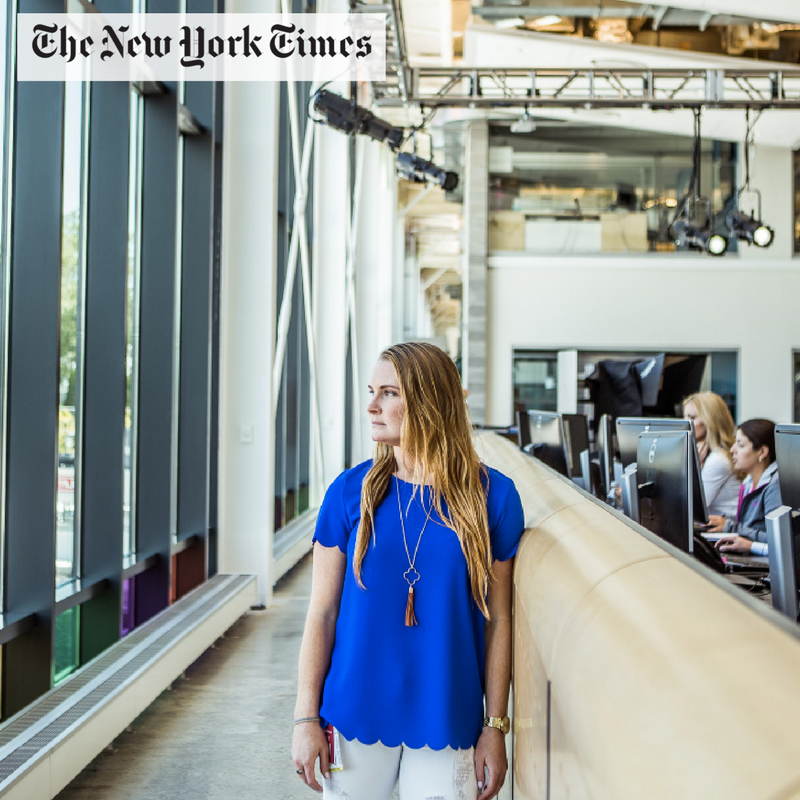 Bridget was recently featured in the New York Times and is currently working at the NBC Sports Headquarters in Stamford, Connecticut in hopes of continuing on the path towards onscreen work. We couldn’t be more proud to see that she reps A Cut Above! In her interview with New York Times, she rocked our Right Move Scallop Top and tassel necklace! If you check out her Instagram or Twitter, @bridgetsloan, she shows us so much #ACAlove! We can’t wait to see where life takes her next, we wish you the best of luck and we love you Bridget!